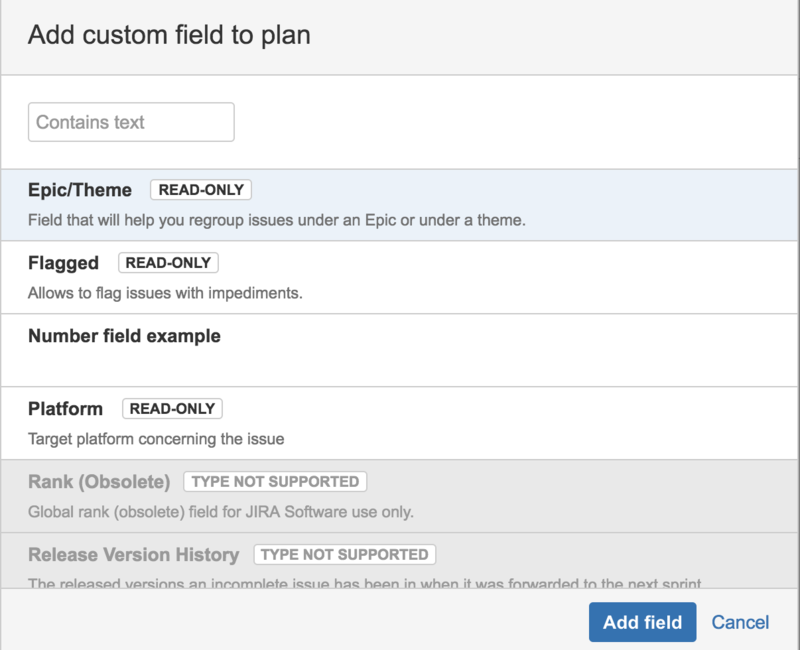 You can add custom fields from JIRA into your plan in Portfolio for JIRA, so that you can view and edit these fields in your scope table. Find the custom field you want to add, and click Add field. Find the custom field you want to remove > click more( ) > Remove from plan.